A New Zealander living in Australia, Ian Falloon is a motorcycle journalist you may well have heard of. Over the years he’s written a lot of motorcycle books, over 20, as well as scribbling for various motorcycle publications. A fair proportion of his book output seems to be about Italian bikes and Guzzi and Ducati in particular. 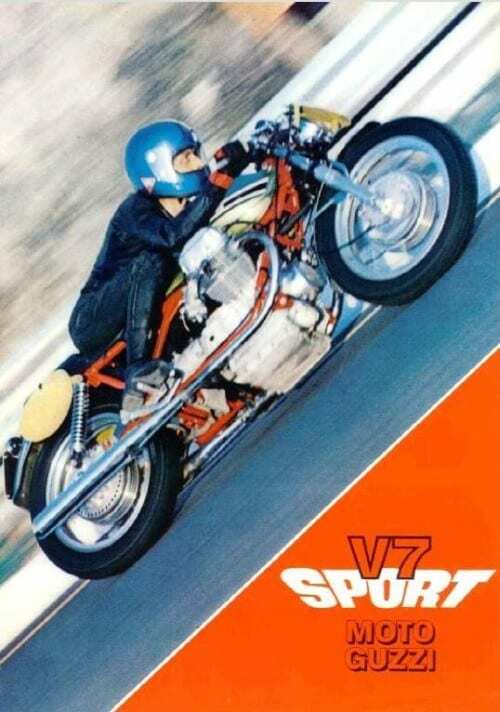 I haven’t read a lot of them but his Moto Guzzi Sport and Le Mans Bible is oft mentioned in reverent tones. As an ex-Le Mans owner I’ve committed large chunks to memory as it’s a must-read for potential owners of these bikes. Why is it so useful? Well, because Falloon describes stuff that helps you buy a good ’un, such as the model detail changes year to year, and engine and frame numbers that help you to tell a genuine factory bike from a bitsa. 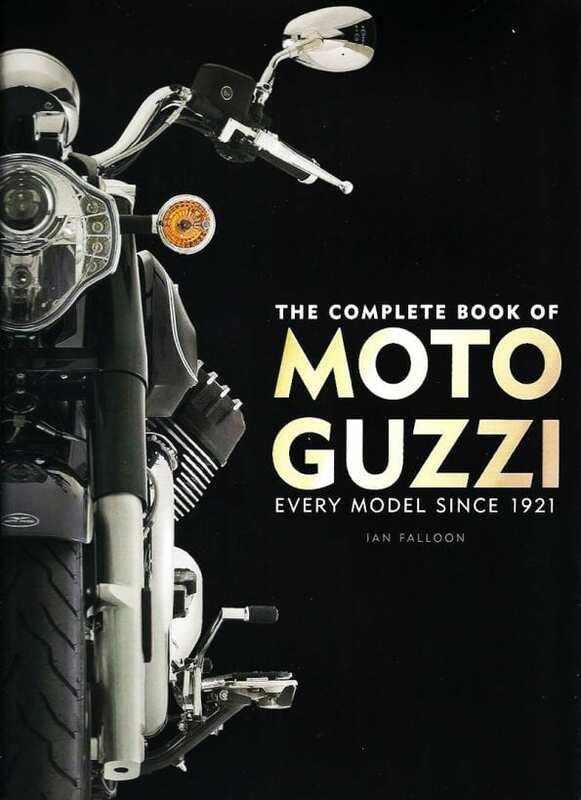 Falloon brings this year-by-year approach to his newest tome, The Complete Book of Moto Guzzi Every Model Since 1921. 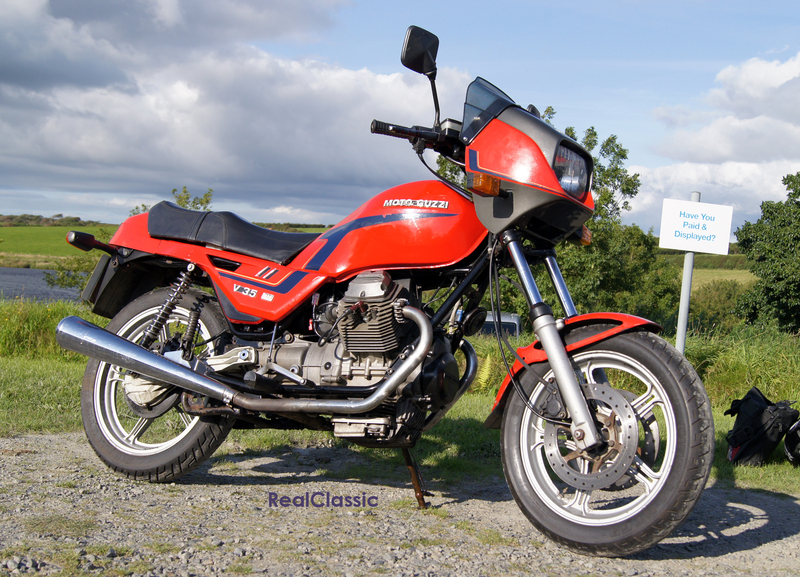 It’s quite an undertaking; the whole Guzzi timeline year by year and model by model from the inceptual 1921 Normale to the 2017 California Touring and almost everything in between. The chapters describe and follow the history and major phases of production; the founding of the company by Carlo Guzzi and early models of the 1920s, the Golden Era 1945-57, and so on right up to the present Aprilia / Piaggio years (the book was published in July 2017). The only deliberate omissions are some commercial and military vehicles and minor model changes of the 1950s and 60s that are hard to document, so the content is focused on production vehicles. This is quite a long book, running to 256 pages and of large dimensions; think of hefting a big block sump and you won’t be far off. It feels chunky and weighty in the hand and the embossed satin finish dustjacket suggests quality. 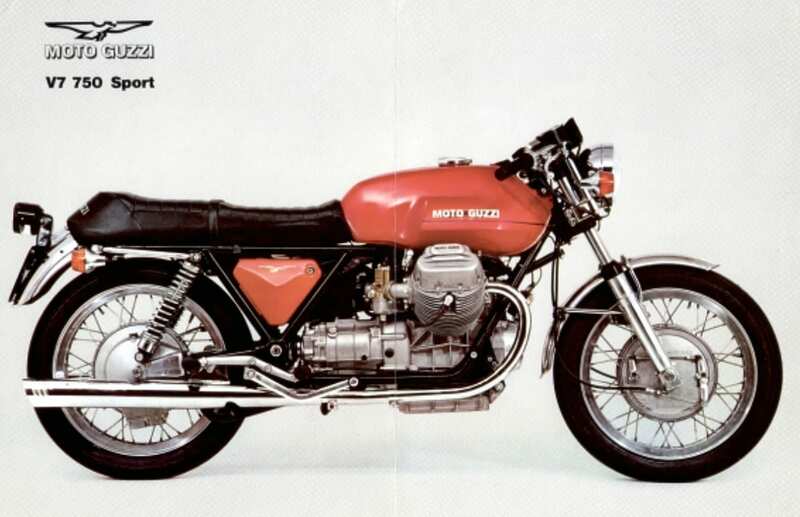 Much of its mass is due to the huge number of photographs, and this to me is a strength; there’s not a page without at least one photograph of a Guzzi motorcycle and most have several, a lot in colour and all well annotated. 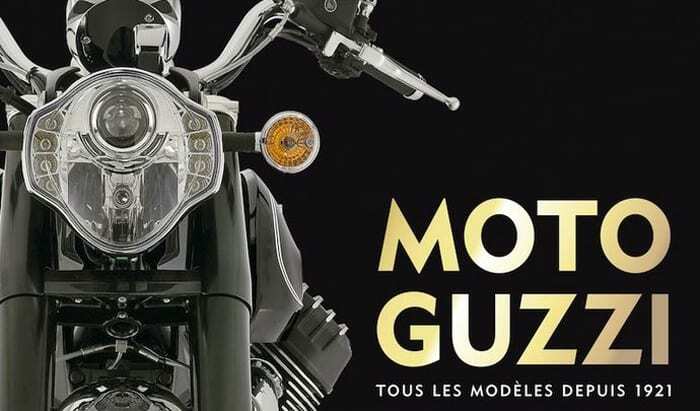 For in-depth technical information we’ve got Guzziology, workshop manuals, handbooks and big-brained Guzzi geezers and Geezerettes; the beauty of this book is the lavish use of clearly posed photos of bikes showing plenty of detail. The quality of the printed pages to my eyes is high with deep colours and, although you may have seen some of the photos before, the clincher is that most of them are from Teo Lamers’ personal collection and were certainly new to me. Mr Lamers, a staunch Guzzisti and owner of really useful Netherlands Guzzi emporium TLM, has a collection of near original, unrestored machines that may well be second to none. 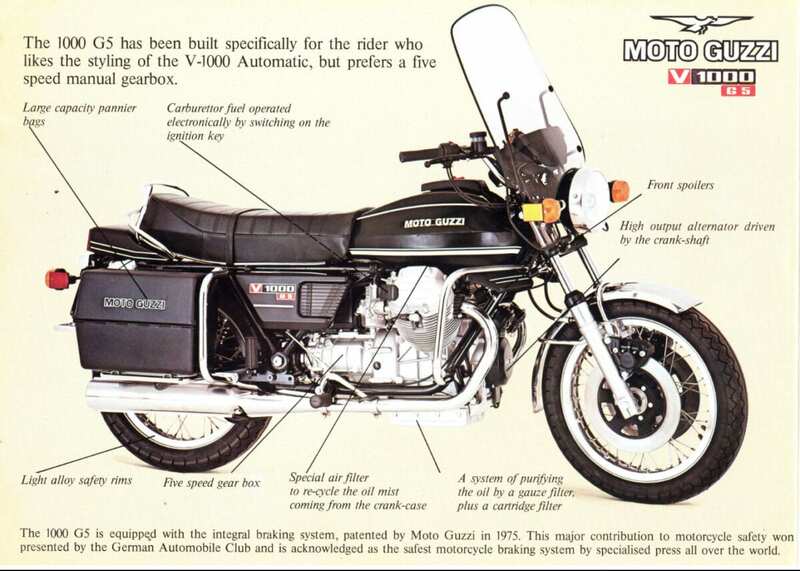 I’ve already found the photos useful as a reference for my Eldo Loop frame as I try to make it close to original civvy spec and if you’re like me you could spend hours and hours poring over the bike images. There are other image sources but it’s these photos that make it stand out. Some are really interesting ones too, like the factory-spec peachy/orange coloured Eldorado from 1973, and a good smattering of old racing shots if that’s your thing. This is really a coffee-table book but a very good one. It’s more than just photos and there is plenty of text. Just don’t expect huge reams of information on your current bike. What you will get is a few paragraphs and several good photos plus basic tech specs, and in some cases production figures and year to year detail changes. Criticisms? As you can tell I really like the book. If I was splitting cotter pins then I’d say the text itself is a tiny bit dry. A few witty historical anecdotes would have added something, and there are no lists of frame and engine numbers. 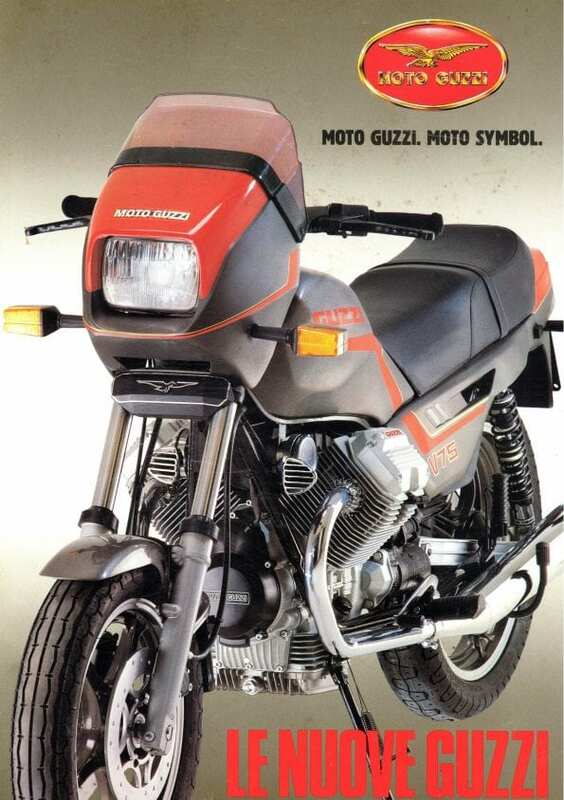 There are some opinions, for example Falloon pulls no punches on his view of De Tomaso: ‘De Tomaso’s acquisition of Moto Guzzi led to considerable apprehension at Mandello, much of it justified’, and more stronger opinions would’ve been welcome. Overall then, a cracking book. 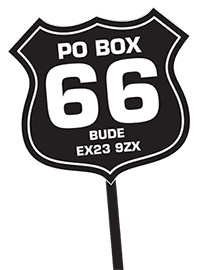 It’s one you can repeatedly dip in to for a few new facts, a furtive peek at the bike of your dreams or to educate yourself on some obscure early machine you’d never heard of. If you’ve a general interest in the marque and fancy a well-described Technicolor romp through the Apennines of Guzzi history there should be plenty for you. It’s listed at £45 online but I saw one for £30 which seems good value to me.